Each Thanksgiving I try to take charge of something new or something more complicated. So far I’ve made side dishes (med), cornbread stuffing (yummy), cranberry sauce (disastrous), and several pies. She and I have our own fair share of failures. Last year her pecan pie was over-baked. My apple pie was under-baked. 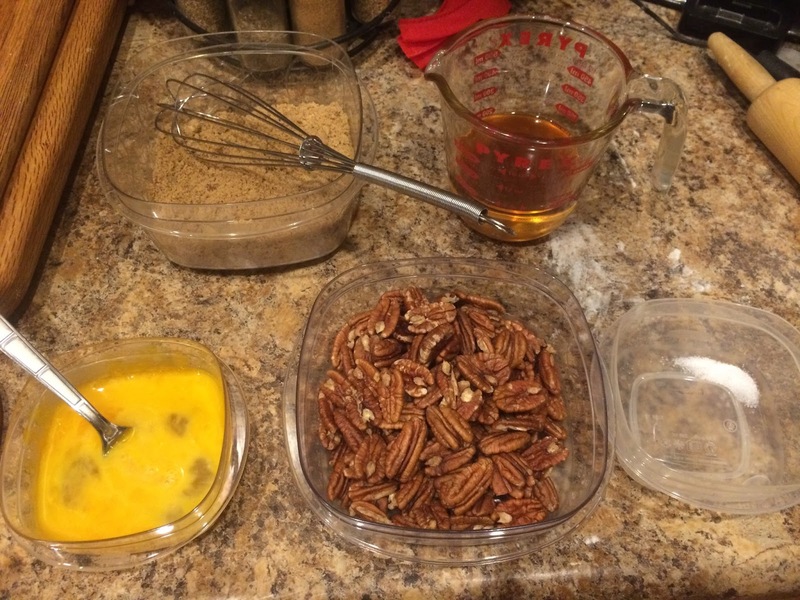 Pecan pie is a staple for Thanksgiving or Christmas dinner. 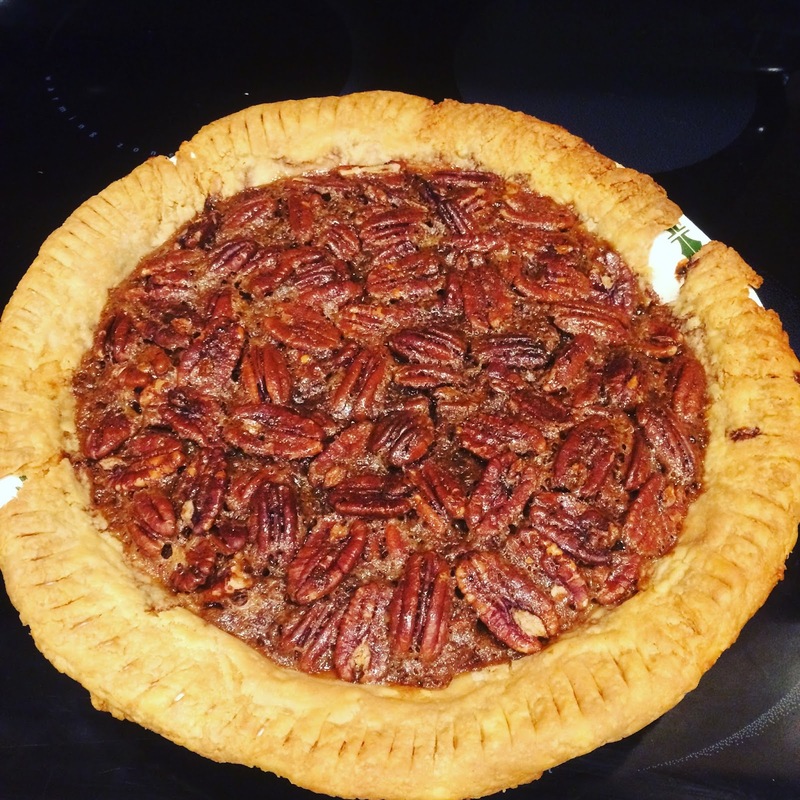 My mother is the only person who eats pecan pie at Thanksgiving. Usually she bakes a whole pie for herself to enjoy for the entire week. While many recipes include alcohol, I went for an old-fashioned recipe. 2) Roll out the pie dough onto a lightly floured surface. Trim and crimp crust as desired. Lightly prick the bottom of the crush with a fork. Chill for 30 minutes in the fridge. 3) For the pie filling: melt butter in a small heavy saucepan over medium heat. 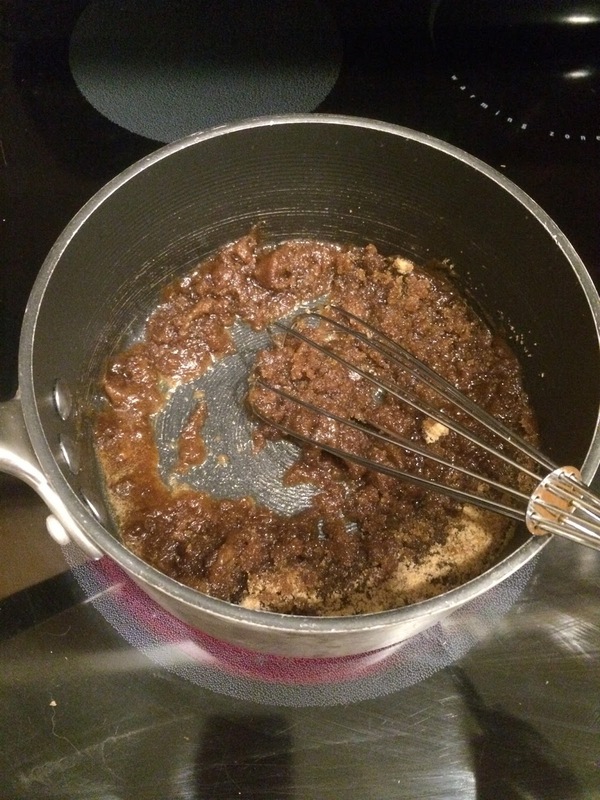 Add brown sugar, whisking until smooth. 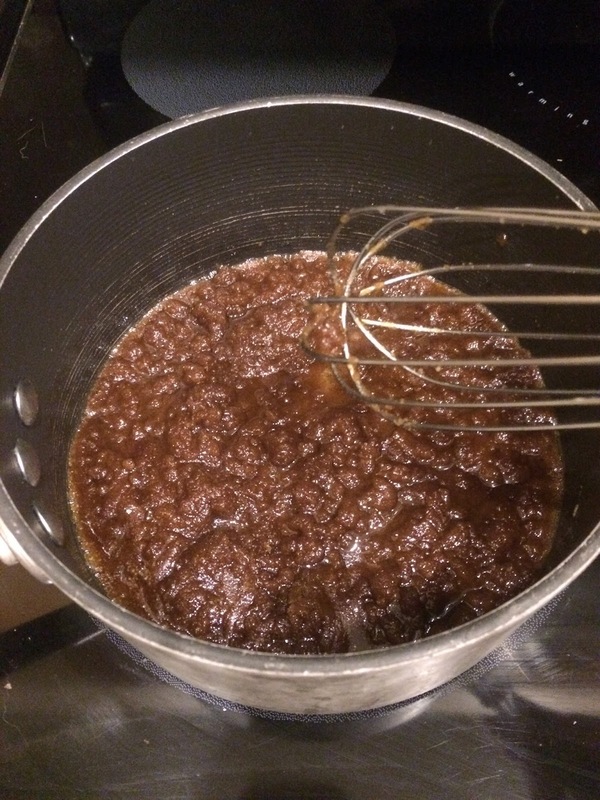 Remove from heat and whisk in corn syrup, vanilla, zest, and salt. 4. Lightly beat the eggs in a medium bowl. 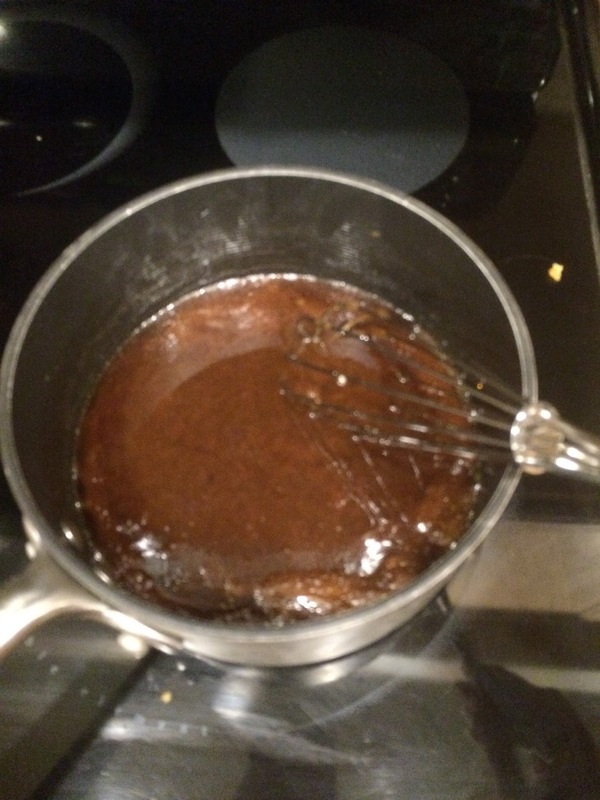 Whisk into the corn syrup mixture. Be really careful! If you mixture is too hot, your eggs will scramble! Mine was just a little too hot so there were some heated egg whites. I strained these out with a sieve and it was fine. 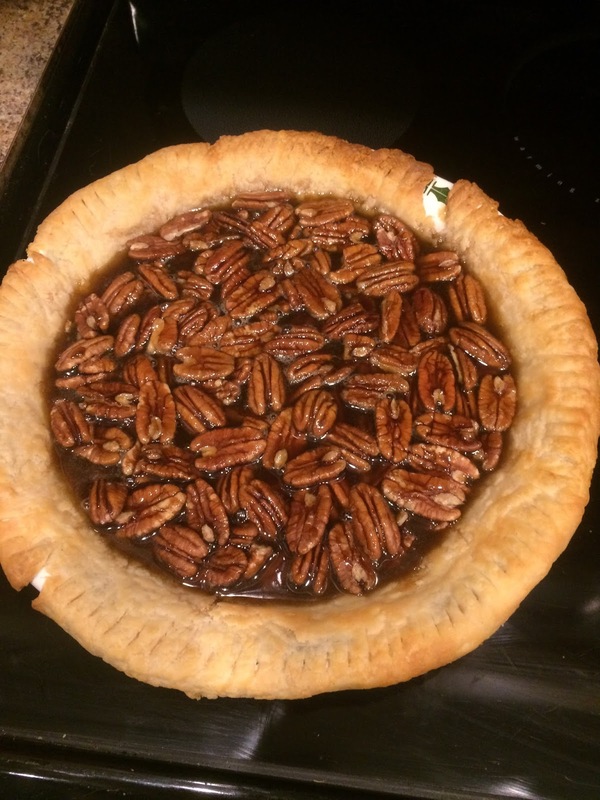 5) Put pecans in the pie shell and pour the corn syrup mixture over evenly. 6) Bake until the filling is set (50-60 min.) Cool completely. 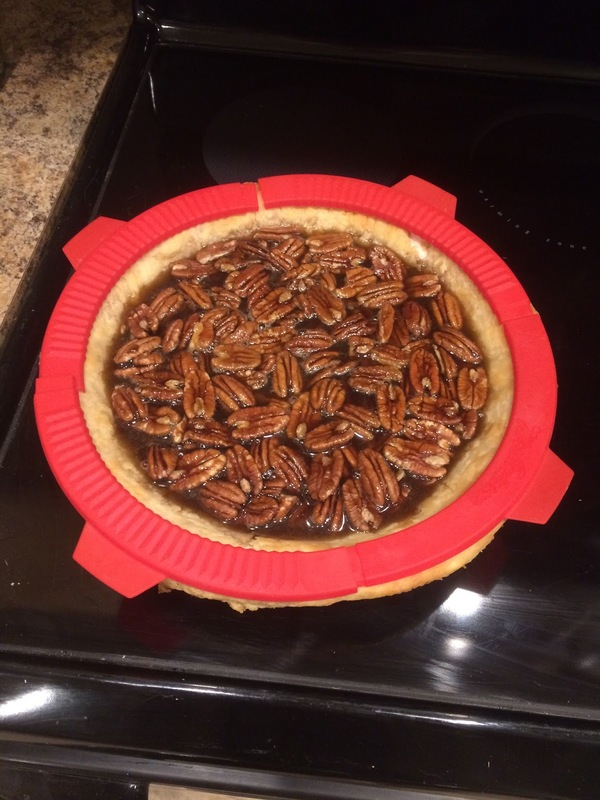 Final Thoughts: I’ve never been a big fan of pecan pie, but I stole a bite and loved it! It was fairly easy to make, despite needing a tiny bit more effort than a pumpkin pie. Now that I’ve checked off apple, banana cream, pumpkin, and pecan, which pie should I try next?